Anything we can do to protect our brains from dementia is welcome. On Friday, I showed you how a simple habit can cause serious memory problems. Avoiding this habit can work wonders in keeping your brain healthy. But so can doing something as simple as just taking a supplement. Recently a group of scientists took a look at the herb ginkgo biloba. Ginkgo biloba has been used for centuries to improve and protect brain function. Most scientists have attributed this protective effect to the fact that ginkgo improves circulation. But now there's another reason why this herb should be a part of your everyday supplement program. For the experiment, the scientists took a group of rats and induced Alzheimer's in them by injecting β-amyloid into their brains. Then they gave some of the rats ginkgo biloba extract. They gave another group daily HBO (hyperbaric oxygen) treatments. 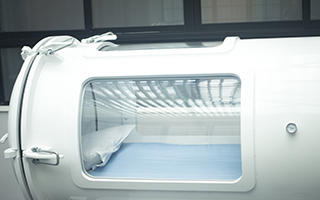 HBO is a treatment that involves sitting or lying in a chamber with pressurized oxygen. 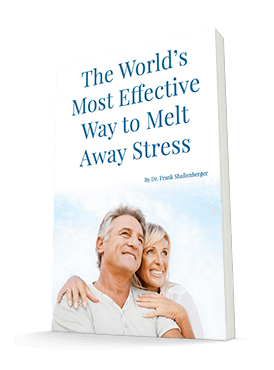 It can dramatically increase the levels of oxygen in brain tissue. For the technically minded, the HBO treatments were at two atmospheres for one hour. Then they gave a third group a combination of the ginkgo biloba extract and the HBO treatments. To see the effect of the treatments, they measured their cognitive and their memory capacity. They also looked at the level of brain cell apoptosis (cell death) and NF-kB related proteins in the brain. NF-kB related proteins are inflammatory and can initiate apoptosis. Here's what they found. According to the authors, both the ginkgo biloba extract and the HBO "significantly improved the cognitive and memory ability of Alzheimer's disease rats. In addition, the protective effect of combinational therapy was superior to either HBO or gingko biloba extract alone." They also noted that the animals treated with both remedies had reduced levels of NF-kB induced apoptosis. In other words, they had more brain cells. Maybe we should require the federal government to undergo this treatment? The researchers concluded by saying, "Our results suggested that HBO and ginkgo biloba extract improve cognitive and memory capacity in a rat model of Alzheimer's disease. The protective effects are associated with the reduced apoptosis with NF-kB pathway activation in hippocampus neurons." Many people are using HBO these days to treat disease and to help with overall health and stamina. These results suggest that at least when it comes to HBO treatments for brain disorders, it's a good idea to combine the HBO with ginkgo biloba extract. But what if you aren't bad enough to require HBO treatments? Or what if your brain is still working great and you just want to keep it that way? The data from this experiment shows that ginkgo all by itself works great to protect your brain cells from prematurely dying. In fact, just from this study, you could make a serious case for anyone who has a family history of Alzheimer's to start taking ginkgo biloba extract right now. The typical dose is 120 mg per day. If you take two scoops per day of my Super Immune QuickStart, you will get exactly that amount plus an amazing combination of vitamins, detoxifiers, and antioxidants. Zhang LD, Ma L, et al. Hyperbaric Oxygen and Ginkgo Biloba Extract Ameliorate Cognitive and Memory Impairment via Nuclear Factor Kappa-B Pathway in Rat Model of Alzheimer's Disease. Chin Med J (Engl). 2015 20th Nov;128(22):3088-3093.